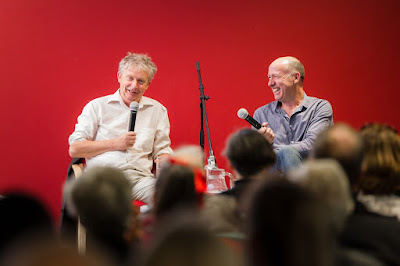 Had the eclectic public which filled Central City Library's Whare Wānanga earlier this month come to hear Finlay Macdonald interviewed by Steve Braunias, as the publicity had seemed to announce and Finlay picked up on in his opening gambit? No worries. I was there -- I'm not a "horrible trout" wont to pronounce without first hand experience, to borrow one of Steve's colourful animal kingdom descriptors which he used on the night -- and I can attest that the only thing threatening to upstage Steve Braunias was the lure of the subject of his new book The scene of the crime. Welcome to Auckland Libraries - Ngā Pātaka Kōrero o Tāmaki Makaurau. Join and discover our great range of books, music, events, Auckland heritage and more.